Sitting outside, third experimental glass of watermelon and green tea soothie to hand, I am enjoying the scents of my summer: crushed lovage, trampled thyme, eviscerated verbena, scrambled sage. Yes, you guessed it, my four ‘girls’ have been on a rampage. Pecking and scratching their collective way through our little suburban patch, they seem to be celebrating their release from temporary incarceration. Normally the girls have utter dominion over the garden, ratcheting around wherever they please. But we were away at the weekend and they had to settle for their ridiculously large covered and open-topped pens, with worm-filled compost bins, carefully placed limbs to leer from and even a corkscrew hazel tree to perch on, should they so wish. Hardly doing hard time. Don’t feel sorry for them. So today, hollowing out dusty dirt baths is top of the hens’ to-do list. Peering out just now our poor borders look to have been under asteroid attack, such is the scarring. But we (or rather, I) don’t mind. Other than a recent delphinium-related error on my part we’ve quickly learned what are the best anti-nibble plants: roses, foxgloves, rosemary, thistles, perennial geraniums, lavender and crocismia. 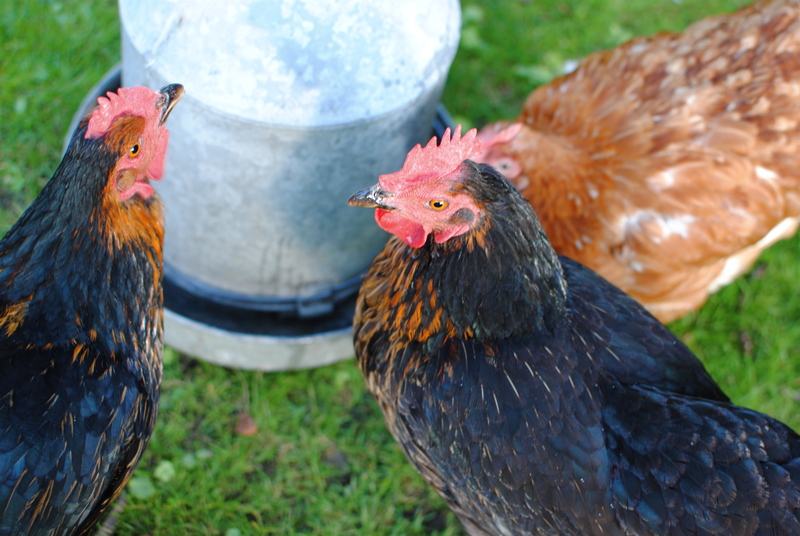 At this time of year perennial, herbaceous plants are mature and of little interest to the hens. But early spring is a bit of a nightmare for anything tentatively pushing though the earth after winter’s worst. And as for the tender annuals of early summer, they really don’t stand a chance and are relegated to hanging basket and lining the drive duty. Live and learn. I used to be quite garden proud but am having to settle for chicken proud. The long, warm days are making it difficult to think about being in the kitchen for any longer than absolutely necessary. And as you are likely to be experiencing warm, or even hot weather today’s recipe is so simple as to not really be a recipe, just a keep-cool idea based around watermelon. Like the Georgia peaches and Tennessee tomatoes of my youth, I have fond memories of watermelon. My grandparents had a modest but massively productive farm just outside of Nashville and my sister and I spent most of our summers avoiding chores while staying there. But when we weren’t swimming in the ‘crik’ (creek/burn) or scaring the prized fish in my uncle’s fishing hole, we helped to sort tomatoes, collect eggs, shuck corn, string beans, pod peas and pick watermelons. The latter are much bigger than the kind we get in the UK, which are like lead-filled basketballs. Tennessee watermelons were always astonishingly massive, the length – if not the weight – of a good-sized baby. I normally think of massive fruits and vegetables as being all size and no substance, or the substance being mainly flavourless water or woody, stringy seeds. But these watermelons were always full of the most fragrant, sweet deep pink juice. Like the best peaches, the best watermelons had to be eaten over a sink, in a bath or – our preference – while in the process of having a water hose fight. And always followed by a seed-spitting contest (I was rubbish). UK watermelons are almost always Spanish imports and to my mind not a patch on homegrown fruits, wherever they hail from. But lately the crops making their way over have not been bad at all. Even the seedless ones, which can often suffer in taste and texture, are perfumed and sweet. For my watermelon ‘recipe’ I used a Lidl-purchased seedless fruit (although it didn’t say it was seedless) and it was really very nice indeed, so no need to pay a fortune to get a decent melon. I won’t go on too much about the goodness in either the watermelon or the green tea. I will save that for some proper recipes (and a cooler, more cerebral day). But expect to get beta-carotene, folic acid, vitamin B5, Vitamin C, calcium,magnesium, phosphorus and potassium from the melon, with the stand-out phytochemical lycopene a particular bonus. As for the green tea, the polyphenol catechins are the heavyweights of the whole juicy concoction. And the most important catechin – epigallocatechin 3 gallate – is the Muhammed Ali of them all, with a powerful cancer-fighting punch. Animal studies have shown that green tea helps prevent the development of many tumour types, but mainly skin, breast, colorectal, lung and esophageal. In vitro studies on human cell lines have also shown a significant preventing effect. Doses fed to mice are largely comparably to what we can get by drinking green tea regularly. Even so, green tea is not a wonder drug and most cancers are multi-factorial. Please don’t be tempted to ‘super-size’ as there may be harmful effects from drinking too much green tea, as well as its potential to inhibit key essential nutrients in large quantities, especially iron. 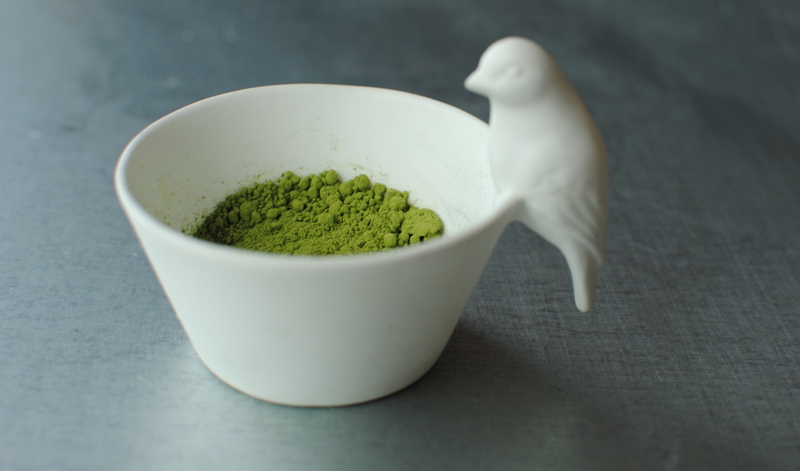 A wee word about the best green tea to drink: get a good Japanese loose leaf Sencha and, if you can, a finely ground Matcha. Be warned, the latter is expensive, although you only use an 1/4 tsp per serving: it is the saffron of the drinks world. Although many people find them convenient, tea bag green teas tend to have the least catechin activity and the most bitter taste (what puts some people off this fine tea). Tea bags are also more expensive per use than seemingly more expensive loose leaf, of which you only use a pinch per cup and can replenish with hot water one other time and still get great taste and nutritional benefit. Ground ‘Matcha’ green tea is suitable for hot and cold drinks as well as in smoothies, dressings, ice creams and sorbets, infusions and even baking. Because it is a leaf, albeit a powdered one, it doesn’t truly dissolve so can be a bit lumpy if you’re not careful. I use an otherwise redundant battery-powered milk frother (Aerolatte) or a mini whisk. The Japanese traditionally use a wooden whisk. Another tip: use boiled but not boiling water for leaf tea and allow the tea to brew for eight minutes to allow maximum extraction of the anti-cancer compounds. And lastly, skip the milk, as the proteins neutralise all the catechin goodness. Lemon actively enhances catechin activity and also helps neutralise green tea’s iron-binding properties. Lemon with a touch of agave nectar is my main summer beverage, after plain old water. As for how often to have green tea, most nutritionists and dietitians would say that up to five cups is fine, but spaced out to get the maximum benefit. If you like strong tea (and an eight minute brew would be strong, although not at all bitter) I would say three cups is plenty. Bear in mind that it does contain caffeine, albeit four times less so than black tea, which is the fermented version of green tea. Another bonus compound is L-theanine, an amino acid that may have a positive effect on anxiety and mood. There are some contraindications for green tea though, with most potential for interaction coming from concentrated extracts rather than tea we drink. For general medication interaction click here, although the information on prostate cancer seems to apply to extracts rather than tea itself. For specifics and references for interaction with particular chemotherapy drugs click here. The best overall reference article, from the National Cancer Institute, is found here. If you like green tea and want other recipes, here are a couple I fancy trying: Blueberry and Green Tea Sorbet, Tropical Fruit Salad with Green Tea Syrup and Peter Gordon’s Coconut Laksa with Scallops and Green Tea Noodles (I’ll add extra green tea though). 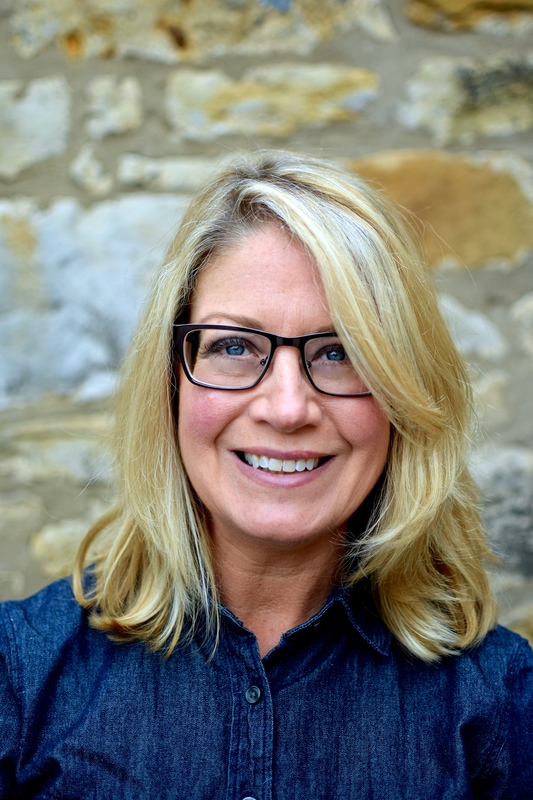 I also want to make a stripped back version of famed US raw chef Renee Loux’s Almond Green Tea Cake with Ginger Glaze from her 2006 cookbook,The Balanced Plate. 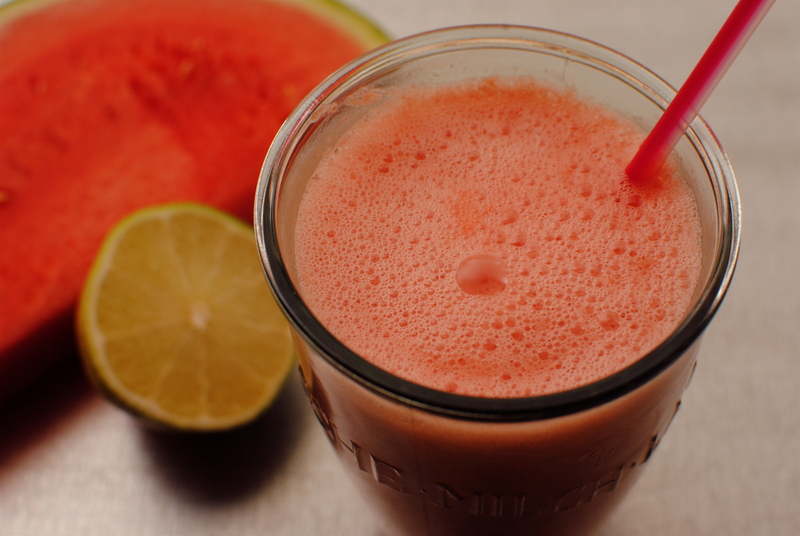 A quick, refreshing and nutritious drink for the months when watermelons are at their peak. 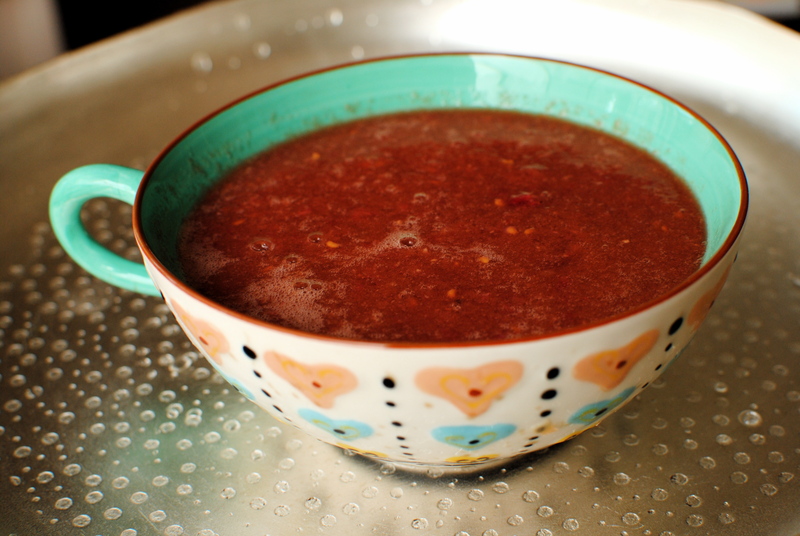 This would be a soothing drink for anyone on chemotherapy and, if sieved or juiced rather than blended, would be a very tasty way to get missing nutrients (and taste) into a low-fibre/low-residue diet. A word about the seeds: if your digestion is okay do blend in the soft white seeds. The extra zinc and vitamin E from these edible seeds will increase absorption of the lycopene. And you definitely want that lycopene. Place all ingredients in an ice-friendly/seed-friendly blender, like my Froothie Optimum 9400, and whizz until very smooth. Divide into two servings and drink immediately. A Very Pink Smoothie: as above but with a handful of frozen raspberries and 125 ml yogurt (dairy or soy) or buttermilk and maybe a smidge of agave nectar if the yogurt makes it too tart for you. This would make a lovely breakfast. 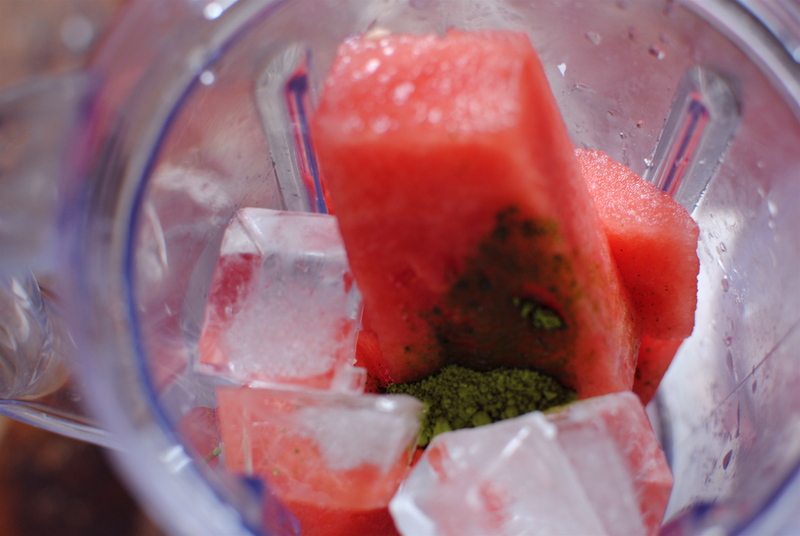 Watermelon and Cucumber Smoothie: create the ultimate refresher by adding ¼ of a peeled cucumber to the original recipe. Tropical Wonder: 250g watermelon, ½ peeled, stoned mango, ½ peeled, deseeded papaya, green tea and lime. All of the above are wonderful for digestion, although some of you may be sensitive to the fibre in mango. Pakistani mangoes tend to be the most digestible (Alphonse and Honey varieties are amazing). Thanks for bringing back all of those great memories! You forgot to mention that during the watermelon seed spitting contest we inhaled quite a few seeds before they got propelled. Those were the days! Plenty more memories where that came from! I bet you have more foodie ones that I’ve forgotten, or rather, that aren’t terribly healthy – chicken-fried steak??!! I stick with pinching seeds with my fingers rather than spitting them. How about you? Perfect as watermelons are on special this week at Lidl. And they are delicious. I’ve got yet another one on my countertop waiting to be sliced and eaten over the sink! I hope…If not then the chickens will have a feast. They LOVE watermelon.